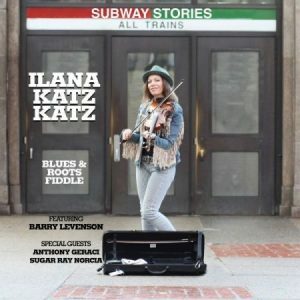 Ilana Katz Katz started out playing on the Boston subway (hence the title of the album) before being spotted by Ronnie Earl who championed her playing. 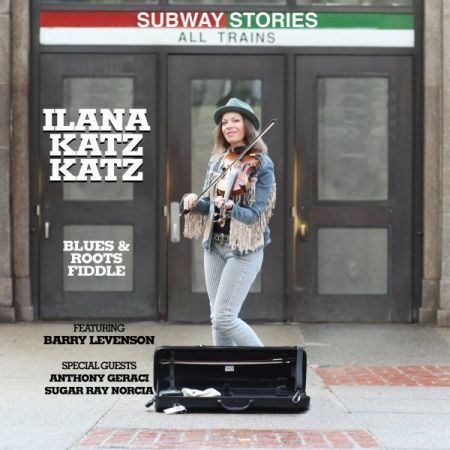 Of course if one goes back to the very earliest days of the blues violin was often used but it is fairly rare to hear it these days and Ilana plays well. Ilana wrote most of the material here with assistance from producer and guitarist Barry Levenson, Hank Van Sickle (bass) and Mike Sandberg (drums) making up the rhythm section. 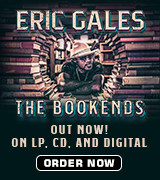 The album was recorded in L.A. though some additional harp and piano was added by Sugar Ray Norcia and Anthony Geraci (recorded at studios in New England). The track that is probably closest to Ilana’s busking roots is “John Brown’s Dream/Subway Light Of Mine” which combines a solo fiddle instrumental with an adaptation of “This Little Light Of Mine”. A couple of Barry’s instrumental tunes, “The Excuse” and “Requiem” have a light, jazzy feel. 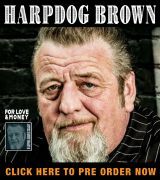 Anthony’s piano adds considerably to the tracks on which he appears: “Road To Nowhere” swings terrifically, Barry’s “Like A Wino” is good fun with rock and roll influences and the cover of “Ice Cream Freezer Blues” retains Roosevelt Sykes’ ribald sense of humour in some suggestive lyrics. Ilana’s vocal style is unusual and may not be to everyone’s taste. Her songs are definitely blues and “Subway Blues” recounts some of her experiences busking. The lyrics to “Tribute To Slim Harpo” give a good flavour of Slim’s work and the playing is excellent with Sugar Ray’s harp capturing his style well. Indeed, there is plenty of good playing, so anyone already comfortable with Ilana’s distinctive vocal style should enjoy this album.